Surgery Malpractice Lawyers South Florida | Gonzalez & Cartwright, P.A. Surgeries are difficult and complicated, and every single surgery carries risks that cannot be completely eliminated. Despite this, you expect that your surgeon and other doctors are acting in your best interests while you are literally trusting them with your life. While not all bad surgical outcomes are the result of malpractice, surgeons are highly trained professionals, and surgical errors can often be avoided when the surgeon and other healthcare professionals properly exercise the skill and caution necessary in the field. When a surgeon performs negligently, the results can be devastating to the victim. At Gonzalez & Cartwright, P.A., our skilled surgical malpractice lawyers understand how difficult it can be for a patient to pinpoint the source of his or her harm after a surgical error has caused additional physical suffering. Perhaps you emerged from the surgery and began to suffer inexplicable side effects at a later date, or could immediately tell that something went wrong in the operating room. We have the resources and experience necessary to identify the source of your harm, and are dedicated to holding negligent surgeons and hospitals accountable for their errors when they rise to the level of malpractice in our South Florida hospitals. 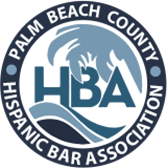 We speak both English and Spanish for your convenience and are proud to be known as a law firm protecting the local community in South Florida from medical negligence. Improper use of robotic surgical devices. Exhaustion. Surgeons work long hours, and some surgeries take an extended period of time. When exhaustion causes a surgeon to make a grave error, it is not an excuse for committing surgical malpractice. Drug or alcohol use. Surgeons are human beings and, like anyone else, may abuse drugs or alcohol that impair their abilities during surgery. Poor communication. Surgeons are busy people, and when a surgeon fails to appropriately communicate with the patient and other members of the surgical team, errors can easily occur. Surgical malpractice cases are inherently complex, and you need a skilled and trustworthy lawyer by your side to help recover the financial compensation you deserve. Our medical malpractice lawyers will fight to establish that your surgeon failed to provide the level of care that a reasonable surgeon with appropriate experience and surgical abilities would have provided under the circumstances, thus causing you additional harm. We conduct a thorough investigation in every case to gather the evidence necessary to establish whether a surgical error was the cause of your increased suffering. Surgical malpractice can cause both physical and emotional damage that may make recovery difficult if you have been the victim of a surgical error. At Gonzalez & Cartwright, P.A., we are here to provide support and guidance as we take on the responsibility of advocating for your financial rights and hold the negligent surgeon accountable for his or her actions. Call our experienced surgical malpractice lawyers today, or fill out this online contact form, to schedule a free initial consultation to tell us what happened in your case. If you are still recovering from your injuries physically, we can also visit you in your home or the hospital to discuss your case. FAQ: How do I know whether my surgeon made an error during my operation? I was completely asleep and there was no mention of complications afterward. Because most patients have no formal medical training, it is not surprising that surgical errors are difficult to uncover and prove. The first step to determining what happened in your case is to consult with a skilled surgical malpractice lawyer who has the resources necessary to handle these cases. After we review your medical records, if the cause of your harm is still unclear, we will retain a trained medical professional with expertise in the type of surgery you underwent to determine what happened. In any medical malpractice case, it is necessary to first obtain the opinion of a medical expert who can testify to the fact that his or her fellow surgeon committed malpractice in making the error that caused your harm. 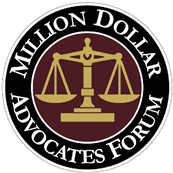 FAQ: How much will it cost to prove that my surgeon committed a surgical error that amounted to malpractice? Our lawyers work on a contingency basis, so you do not have to worry about providing us with compensation until we recover financial compensation for you. These cases can be expensive to prove, but we take care of advancing the funds necessary to engage the necessary expert witnesses and prepare your case for negotiations with the relevant insurance companies, and even for trial in court if a formal lawsuit becomes necessary.